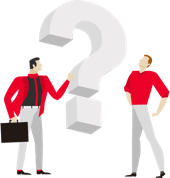 FAQ - BLIKSEN CO., LTD.
We have collected a range of the frequently asked questions from our customers and listed up some of questions and answers. We hope they assist you when starting new sheet metal fabrication. If you can not find the answer you are looking for, please feel free to contact us by phone, email or contact form. We would be happy to help you in more detail. What sheet metal materials can BLIKSEN provide? Stainless steel, carbon steel, aluminum, copper, the above four materials are all commonly used materials at BLIKSEN. For other special requirements, please contact us, we will always welcome suggestions for use of other materials. Can BLIKSEN produce only small quantities or a very large number of products? Whether it is one piece or 10,000 pieces, BLIKSEN can do what is necessary. BLIKSEN mainly undertakes customized sheet metal processing, which is quite suitable for production of small quantities. BLIKSEN began to introduce automation equipment in 2015, and there are currently [P1] fully automatic laser cutting equipment and bending machine equipment lines. There is also semi-automatic bending and fiber welding equipment to meet higher precision requirements and those requiring mass production. Stamping and forming with a mold is a fast and economical mass production method. The sheet metal processing is made by laser cutting, bending, welding, etc., and is suitable for the production of a small number of orders. How should I choose the sheet metal material? SPHC hot rolled steel sheet: low hardness and easy processing. The above four materials are materials that are often used in BLIKSEN. You can choose according to your needs. If you have other special requirements, please contact us and provide more material suggestions. How long does it take for sheet metal processing? The evaluation of the delivery time will depend on the type of product you are planning to produce and how complete the information is on the drawing. The more complete the drawings are, the faster the production will be. In the case of very complete information, it will take 3days-2 weeks[P2] to design and draw. After entering the manufacturing process, it will take 1-2 weeks to carry out the production. If the product needs to be painted, it will take an additional week. The project time will vary depending on the integrity of the drawing and the complexity of the product. The best way is to email the drawing and production information to: contact@bliksen.com, and we can evaluate the delivery date based on your drawing. The best way is to email the drawing and production information to: contact@bliksen.com, we can evaluate the quotation based on your picture, the more complete the information you provide, the more complete the quotation. What file type can be provided? Currently if only preliminary ideas / physical photos / simple hand drawings are available, can BLIKSEN help design drawings? If you just have ideas or other simple information, BLIKSEN can understand the requirements of your production through communication to design the required sheet metal products. Feel free to contact us by phone, email or via the contact form. How large is the size of the sheet metal that can be laser cut? The maximum processing range of BLIKSEN’s laser cutting equipment is 3070*1550mm. If you can’t meet these requirements, you can always discuss with us to find alternative solutions. What is the thickness range of laser cutting? Steel: 20mm, stainless steel: 10mm, aluminum: 8mm, brass: 5mm, red copper: 4mm. If you can’t match these requirements, you can always discuss with us to find alternative solutions. What is the maximum bending range? The maximum processing range is 3070*1550mm. If this doesn’t meet your requirements, we can always discuss the options to obtain an alternative solution. What materials can be welded, and which welding methods are used? Can the coating be a special color? BLIKSEN owns a powder coating factory. If it is not within our usual color range, you only need to provide a color swatch to be painted, and we can make the right powder for you. Specially toned powders require about 3 weeks of front-loading work. If you have a specific project, you would need to work on a more generous production time. How does BLIKSEN deliver products? We have 5 large trucks, including gull-wing trucks, to ensure the safe and secure arrival of our customers’ products. Is there a repair service? For sheet metal products manufactured by BLIKSEN, after-sales service is provided in the case of mechanical damage. If it is not a problem caused by manufacturing factors, BLIKSEN is also willing to provide repair services to resolve the customer’s problems and will undertake any necessary repairs in accordance with the maintenance situation and will charge accordingly. Is there a factory tour to understand the manufacturing capabilities of BLIKSEN? You are welcome to visit the BLIKSEN factory and we will be happy to show you our sheet metal capabilities. Please contact us to arrange a guided tour. BLIKSEN is located in Tainan. Will it be possible to provide our customers in the north with immediate service despite the distance? Although we are located in the south, there are many customers in the north and west of the country with whom we have been working for a long time. Usually, we ship the products and do the maintenance service in northern Taiwan about 3-4 days per week. Therefore, we definitely provide fast service to customers outside Tainan as well. Can BLIKSEN cooperate in other languages? We have staff who speak English and Japanese working at BLIKSEN. We can provide cross-border communication services. We have also started selling into other international markets since 2014. At present, we have on-going cooperation with customers from the United States, Japan, Canada, India and several other countries.